Fitbit has announced the Fitbit Charge 3, an upgraded successor to the very popular Fitbit 2 from 2016. There are quite a number of upgrades delivered in the new version such as the sleeker swimproof design, moving to a larger screen - which is a touchscreen, up to seven days battery life, and other smart fitness and smartwatch features. 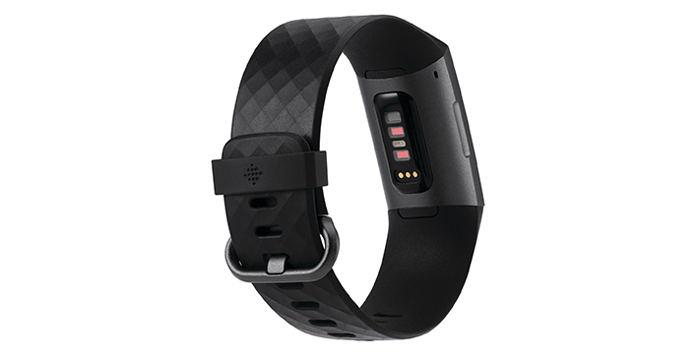 The Fitbit Charge family is Fitbit's most successful range of products to date with 35 million products sold to date. Continued success is essential for the company and it did extensive market research to make sure the Fitbit Charge 3 went in the right direction. In customer studies it found that 42 per cent wanted a tracker versus 36 per cent who wanted a smartwatch. The reasoning behind this skew of choice was that trackers offer a "slimmer design, easy-to-use features, streamlined experience and price point". However Fitbit has smartly expanded on the tracker functions and managed to squeeze in more smartwatch style features to appeal to both these markets. "With Charge 3, we are building on the success of our best-selling Charge franchise and delivering our most innovative tracker, offering an extremely slim, comfortable and premium design, along with the advanced health and fitness features our users want. 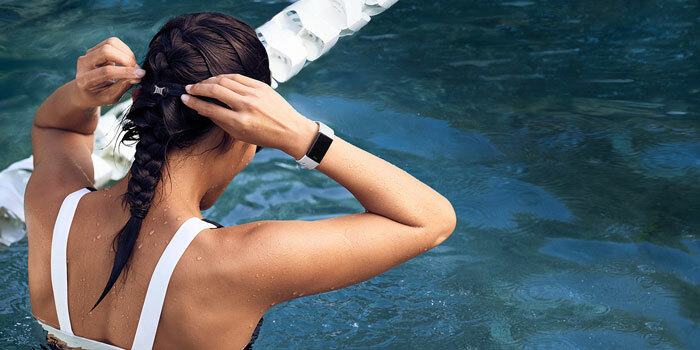 Charge 3 gives existing users a compelling reason to upgrade, while also allowing us to reach new users who want a sleeker, more affordable wearable in a tracker form factor," said James Park, co-founder and CEO of Fitbit. To break down the new offering we should consider the new hardware, the health and fitness tracker functionality, and the smart connected (smartwatch style) features. Starting with the hardware, the Fitbit Charge 3 has; an OLED greyscale display that is "nearly 40 percent larger and brighter" than that of the display in the Charge 2, it is crafted from aluminium and gorilla glass in a slimmer form factor, the OLED touchscreen is intuitive to control alongside an inductive button, it is waterproof to 50m, it has more health sensors, and it has a bigger battery for up to 7 days of usage. 24/7 guidance and motivation with various customisable reminders and more. Above, in the last point, you will notice that contactless payments are available but you need to spend a bit more for this functionality. 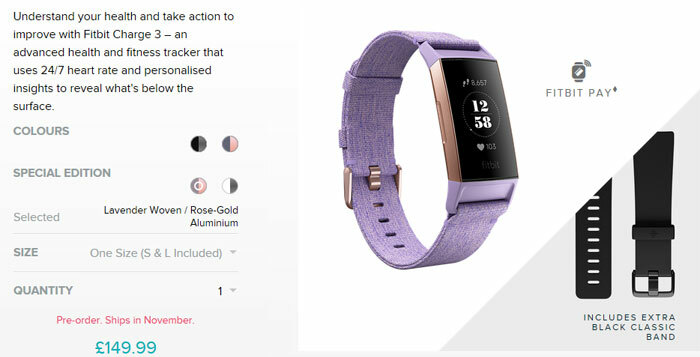 The Fitbit Charge 3 is $150/£130 but the Special Edition, with the added NFC chip, costs $170/£150. There are other differences between the two models in case and band colours/material choices available. Please check the pre-order page for purchase and colour/materials options available in your region. Even after you buy you can always add a new classic, leather or sport band to change the look. Still no on board GPS, come on fitbit all the other major fitness trackers can manage it why can't you? What, exactly, does Hexus think is impressive about this update? It's nice that it doesn't cost much more than the 2, but nothing really suggests a great reason to upgrade. I don't think there's much reason to upgrade from the Charge 2, which I wear myself, but if you were in the market for a fitness tracker right now, that would definitely be a good option. Had I not already bought a MiFit 3, I probably would have gone for this. The addition of ‘swimproofness’ is just what I wanted. The problem I have here is that, while the quality is better, the Mi Band 3 is over $100 cheaper and offers almost the same functionality…Seems like the price is inflated to compensate for the failed smartwatch line.